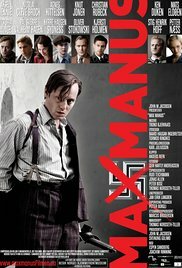 After fighting the Soviets as a volunteer during the Winter War in Finland, Max Manus returns to Norway, finding it occupied by the Nazis. He joins with the Norwegian resistance movement in their fight against the Germans but is arrested. He manages to escape to Scotland where he receives British Commando training before being sent back to Norway to carry out sabotage missions against the occupying forces. Returning to Norway with his friend Gregers Gram, his first mission is an attack on German supply ships. He is spectacularly successful, and soon he becomes a special target for the local Gestapo chief Siegfried Fehmer. Manus, however, avoids capture, and with Gram and Gunnar Sønsteby he forms the so-called "Oslo Gang". Read more on Wikipedia.